Manchester United’s owners, the Glazer family, are increasingly convinced that Jose Mourinho will walk away from the club at the end of the season to take over at Paris Saint-Germain. Mourinho is midway through a three-year deal at Old Trafford but his public flirtations with the French club were noted in October. 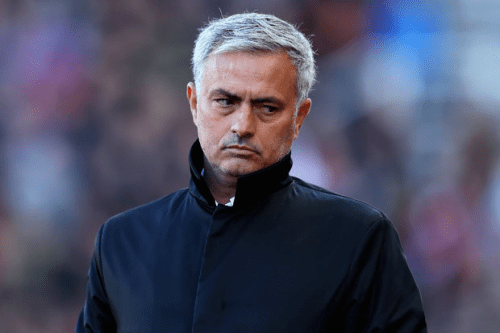 Sources close to the club dismissed the comments as Mourinho agitating for a pay rise but there is now a stronger belief among United’s top brass that the 54-year-old’s head has been turned. United have made a good start to the season but Pep Guardiola’s Manchester City side have cast a shadow over the Red Devils and Mourinho’s concerned he will not be able to compete with this current City team. Mourinho is halfway through his three-year deal. Paris Saint-Germain have long coveted Mourinho and made overtures for him after his second sacking at Chelsea. United believe the French giants will reignite their summer this interest and Mourinho could walk away at the end of the season, according to the Sun. The lure of moving to Paris is clear to see for Mourinho. The club are overwhelming favourites for the Ligue 1 title this year and with Neymar and Kylian Mbappe they have a fantastic opportunity in the Champions League.